We went on vacation at the end of January, which really threw me off schedule. But it was a wonderful excuse to not be in the studio. It was nine days on a cruise ship in the Caribbean Sea and it was glorious. No, we were not on the Carnival ship that got stranded, thank God. This piece was started before we left but got shelved over the last few weeks from traveling and all the business that follows after returning home. It’s finally finished and though it took forever I’m really enjoying pushing my limits with what I can do with color on these boards. It’s still a learning process but I feel like I’m getting further each time. I have a show tomorrow at the Decoys & Wildlife Gallery in Frenchtown, NJ, and much of my new work will be on display there. 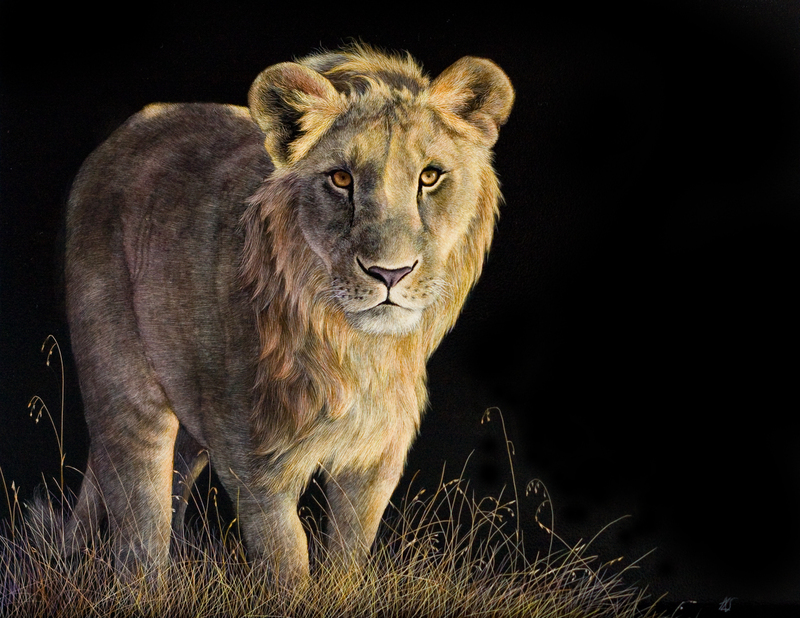 Sadly, this lion didn’t have enough time to be framed and ready for this show, it will have to wait for later.